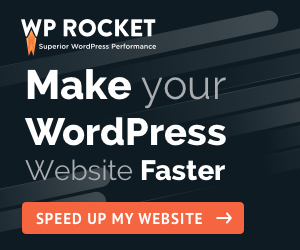 What is All in One Website Authority Checker (Multiple SEO Metrics)? This tool is intended to provide you all the top 4 SEO metrics providers data. 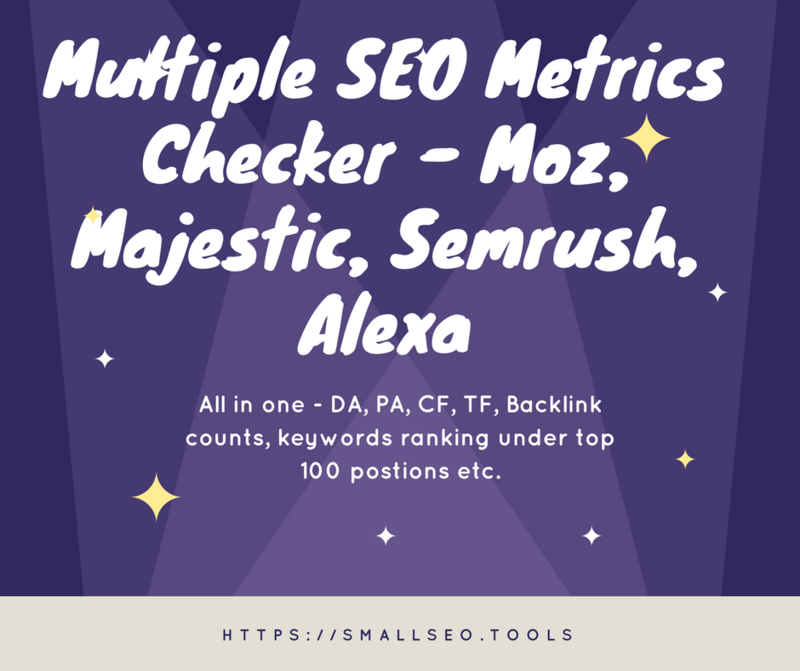 You will get Moz, Semrush, Majestic and Alexa seo metrics at one place. What does all the SEO Metrics mean? smallseo.tools score: It is the average of Moz's domain authority, page authority and Majestic's Citation flow, Trust flow. It ranges from 0-100. The average will surely can get you much better idea by combining all these four. Domain Authority (DA) - range from 1 to 100 (higher - better) provided by Moz and predicts how DOMAIN will be ranked on search engines. Page Authority (PA) - range from 1 to 100 (higher - better) provided by Moz and predicts how URL will be ranked on search engines. Links In (Links) - number of links (internal and external) to the URL (data provided by Moz). 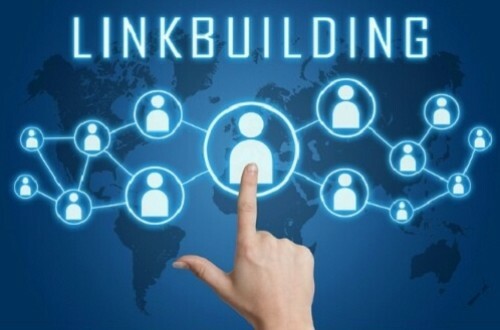 External Equity Links (Equity) - number of external equity links to the URL (data provided by Moz). Alexa Rank - global Alexa rank of domain. ALexa Links number - number of links to domain. Alexa Country - ISO2 code of country where domain is the most popular. Alexa Country Rank - Alexa Rank of domain in country where it is popular. SemRush Domain - domain that was taken by SemRush from url for analysis. SemRush Rank - rank of domain according to SemRush. SemRush Keywords number - number of keywords where site in Google's organic search top 100. SemRush Traffic - number of users expected to visit the website during the following month. SemRush Costs - estimated price of organic keywords in Google AdWords. SemRush URL Links number - number of links to URL according to SemRush. 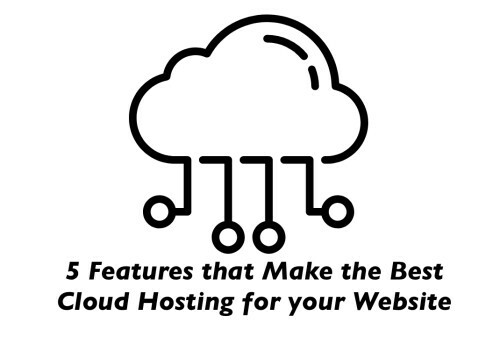 SemRush HOSTNAME Links number - number of links to HOSTNAME. 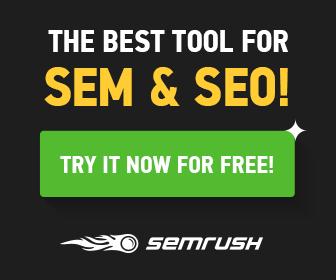 SemRush DOMAIN Links number - number of links to SemRush Domain . Moz Spam Score - range from 0 to 17, highest number means highest percent of sites that contains link to url but penalized or banned by Google. Citation Flow (CF) - range from 0 to 100 (higher is better), it displaying how influential a URL might be based on how many sites link to it. Trust Flow (TF) - range from 0 to 100 (higher is better), it displaying how trustworthy a page is based on how trustworthy sites tend to link to trustworthy neighbors. ExtBackLinks - number of external backlinks to current URL (data provided by Majestic).